Buffalo Grove police responded to a road rage incident about 3:00 p.m. Monday January 14, 2019 to a report of a man with a gun in the block of 1200 Farnsworth Lane, following a road rage incident. According to Buffalo Grove Police Department, a 9-1-1 caller said he followed a vehicle after the driver in the vehicle displayed an offensive hand gesture directed at him while both were driving near Arlington Heights Road and Fremont Way in Buffalo Grove — just south of Arlington Heights Road and McHenry Road (Route 83). Both drivers stopped in the block of 1200 Farnsworth Lane, which was discovered to be near Ariel David’s residence. Ariel David allegedly displayed a small, black pistol after retrieving the gun from a vehicle that was parked in his garage, according to Buffalo Grove Police Department. Police said Ariel David displayed the gun toward the victim, who then immediately called 911. 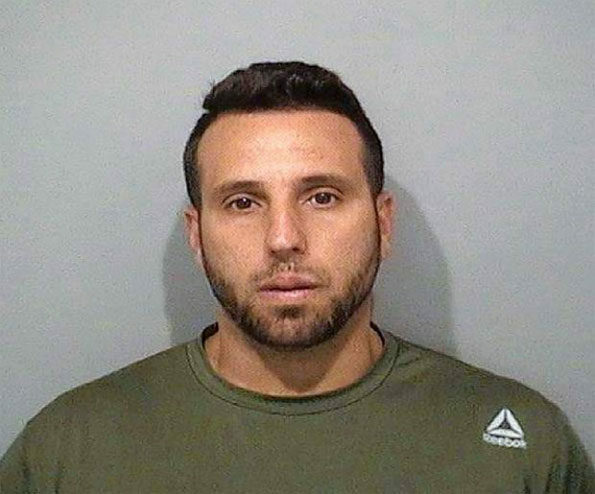 Ariel David, age 34, was charged with Aggravated Assault, and was taken into custody and transported to Buffalo Grove Police Department headquarters without incident. Ariel David, has a valid Firearm Owner’s Identification (FOID) card and a concealed-carry license. He is scheduled to appear in court Monday, February 4, 2019 on the Class A misdemeanor charge that’s punishable by up to a year in jail if he’s found guilty. The Farnsworth Lane address is located less than one-half mile from the Arlington heights Road and Fremont Lane starting point of the road rage incident. Both locations — just south and west of Route 83 and Arlington Heights Road are located in Lake County, Illinois.